Use Branch deep links to build and measure referrals - no promo codes required! Deep links enable link generation, referral tracking, reward attribution, credit balance, and more. 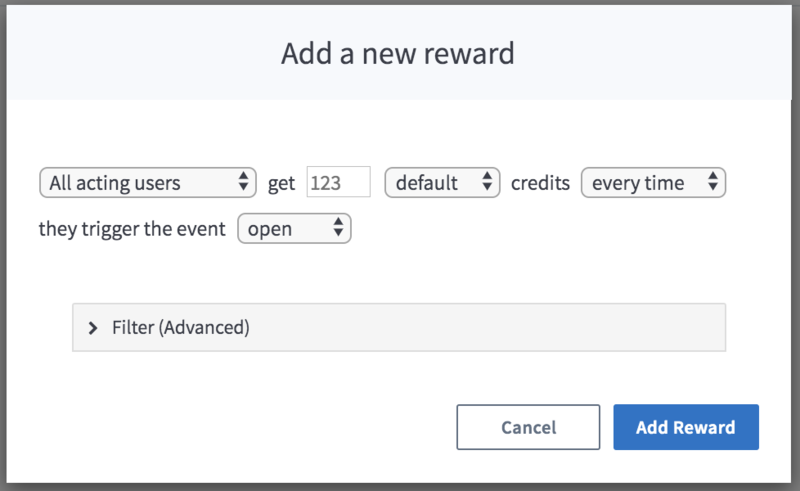 Create referral reward rules directly on our dashboard. 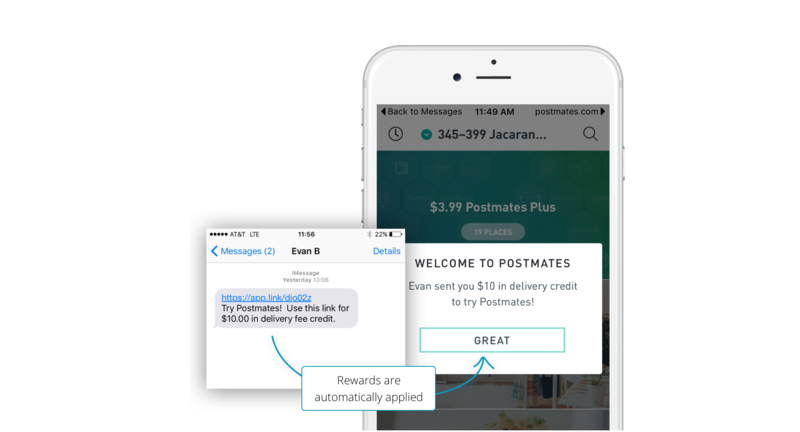 With deep linked referrals, rewards are automatically applied and new and existing users see personalized experiences without the need for promo codes. Our referral analytics allow you to see which users are driving the most installs so you can target them with special offers. Compare referral installs to other organic and paid campaigns with our powerful attribution metrics. Identify and properly track clicks, installs, and opens to understand the performance of your mobile referrals. Use our dashboard to compare the referral program's performance to other features and user acquisition channels.